Jack & Tom are loving Book Week at school - as well as fleecing me for £17 worth of books (the school gets a free book for every one we buy - guilt buy guilt buy guilt buy) and a trip out to the town library, they get to dress up for a day as a "traditional fairy tale character". Although I saw plenty of super heroes on the school run this morning, and I'm not really sure that Tom's choice of "Funny Bones" really counts as a traditional fairy tale (I loved this book as a kid too though). Jack wanted to be Puss In Boots, and I failed somewhat in the "boots" department. He is Puss In Welly Boots! And his face is pained with my liquid eye liner! Tom wore an old Halloween costume - we have loads. 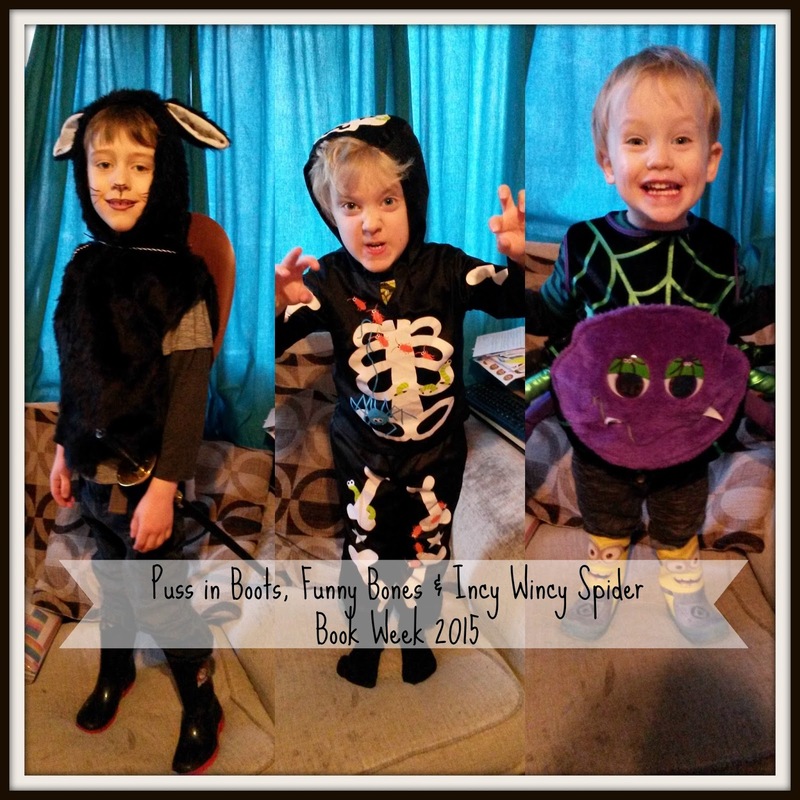 Georgie doesn't officially have book week but didn't want to be left out so he is wearing his old Halloween costume too and is Incy Wincy Spider. He loves that rhyme!